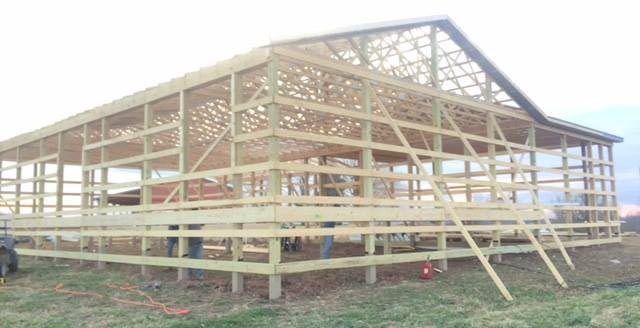 Are you building a fence or a deck, or maybe you're a traditional pole frame builder and you've kept the tradition of building pole barns alive? One thing you know, or you will learn very quickly is that wood and soil do not mix. You are putting two materials together, wood fiber and bacteria, that consume wood and the eventual outcome is destruction. If your project is small and insignificant, maybe you don't mind. But if you could build your project so it would literally last a lifetime - and the solution to make that possible was so inexpensive, wouldn't you want do it? What you will learn today is that wood preservation is much more than soaking wood with chemicals. The best solution is simple and affordable and chemical free. We had a chance to talk to the guy that dreamed this unique wood post protection system up and we thought you might like it too. Anything is possible. Whether you are an aspiring entrepreneur, or a homeowner you will want to learn how this solution can help you regardless. l guarantee that you will find this informative. Ken McDonnell is based in Pottsville, Pennsylvania. In 1997 he was building single family homes when he was offered a position with a "Pole Barn" construction company and it changed the course of his life. He quickly realized that the "achilles heel" of all pole frame constructed buildings was the susceptibility each post (sunk into the ground) had to eventually, or quickly rot. Like all classic entrepreneurs Ken saw a solution and he set out to make a positive contribution to his industry. Or as the late great Steve Jobs once said, he decided to try and make a small "dent in the universe". We believe Ken has done just that. 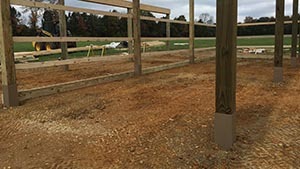 His patented Post Protector™ has become an accepted part of industry for building pole frame buildings. But it's even better than that. 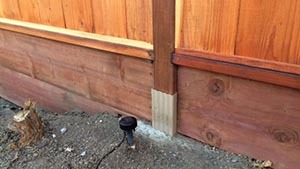 The post protector is appreciated by fence builders, deck builders and homeowners across the country. I was working in single-family home construction when I was offered and accepted a position with a post frame or pole building company. I had always admired pole buildings for their speed-of-build, bang-for-the-buck and design flexibility. Though it was not long after I started that I recognized some room for improvement in a vital area of this construction method...the foundation! In single-family home construction I had never heard any customer voice concern about the integrity of the foundation. But now, with in-ground posts representing the foundation of the building, I was consistently being questioned about in-ground-post longevity, post decay & environmental concerns. As a result, the Post Protector™ concept was born. My idea was to create a simple & affordable barrier product to eliminate soil-to-post contact. It would represent an additional layer of protection for the pressure-treated post while confining chemical preservatives to the post. How To Preserve Wood Posts Set Into The Ground? 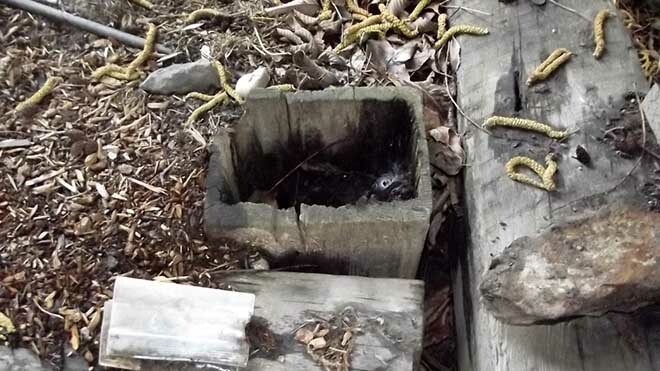 What Is Going On When Wood Posts Rot? To understand how the Post Protector™ barrier works, it is first important to understand decay. Decay is often misunderstood as most believe decay is caused by moisture. Decay is not caused by moisture alone, although it is one of the conditions needed for decay to occur. When these conditions exist, the soil-dwelling decay fungi will colonize the wood post to use the wood fiber as their food source. Decay fungi feeding on wood fiber is the cause of decay. 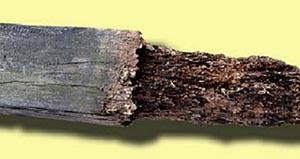 For this reason, preservative in pressure-treated posts is a pesticide used to “poison” the wood fiber so the decay fungi will not feed on it. 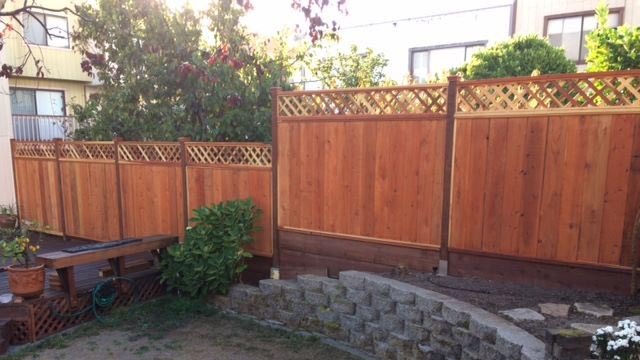 In wet climates this is the ultimate way to protect and preserve fence posts or deck support posts. "Barrier protection will substantially increase the lifespan of any utility pole by protecting it from fungal & insect attack far more effectively than a preservative treatment alone can achieve while preventing preservatives from leaching into the environment." "Barrier systems are designed to prevent the invasion of wood-destroying fungi and termites which typically occurs as the preservative migrates from the wood leaving it vulnerable to attack." Post Protector™ is a “belt & suspenders” approach to in-ground post preservation by utilizing both chemical preservative and Post Protector’s barrier protection. It’s two systems working together to maximize post life and environmental protection. 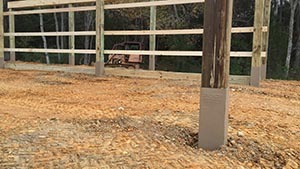 Post Protector™ allows for the simple & affordable “post-in-ground” construction technique, without ground contact, brilliant! 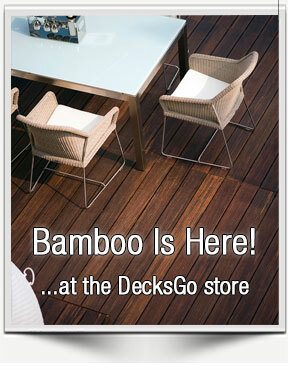 Pole Buildings, decks, fences, pergolas or any post-in-ground project! Ken McDonnell is the Founder of PostProtector.com based in Pottsville, Pennsylvania. He has graciously taken time to speak with us to share his story of how he brought his product to market and how it has improved the lives of many builders and homeowners. If you would like to be a featured author, like Ken, contact us and let us know. To learn more about Ken and his company click the Go Learn button below.